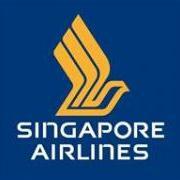 Singapore Airlines is celebrating 25 years of service to Bali with the “Bali Bonanza” Promotion. The promotion offers attractive fares from Denpasar (Bali) to 25 popular destinations including Singapore (from USD125), Bangkok (from USD225), Hong Kong (from USD325), and Europe (from USD725), The “Bali Bonanza” promotion is available until June 30, 2011. 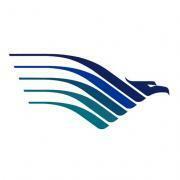 Book online to receive Garuda Airline’s “Best Fares” between Indonesia and major cities across East Asia. Promotional roundtrip fares departing from Jakarta include Singapore for USD80, Kuala Lumpur for USD85, Bangkok for USD150, and Hong Kong for USD347. These are base fares and do not include taxes or surcharges. This promotion is available for bookings and travel until June 14, 2011. 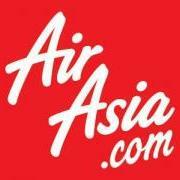 AirAsia will be increasing flight frequencies between its most popular destinations in Indonesia. Starting April 12, 2011, the airline will fly seven times daily between Jakarta and Bali and twice daily between Bandung-Bali and Bandung-Medan. One-way promotional fares start from IDR295,000.00 (USD34) plus taxes and are available for travel through June 30. KLM Royal Dutch Airlines is currently offering a “Spring Break Sale” from Jakarta to major cities across Europe. Round-trip fares to Amsterdam, Paris, Milan, London, Helsinki, Munich, Rome, and more start from just USD599 plus taxes and surcharges. Fares must be booked before May 15 and are valid for travel from now until May 31, 2011. 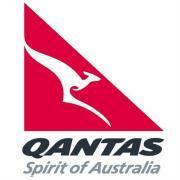 Qantas Airlines is offering special prices on flights from Jakarta to Australia and New Zealand during the “Global Deals” promotion. Round-trip economy fares include USD398 to Perth, USD560 to Adelaide/Brisbane/Melbourne/Sydney, and USD810 to Auckland/Christchurch. The quoted price is the base fare and additional taxes and charges apply. This promotion is available until June 12, 2011. Garuda Airlines is offering great deals on flights for travel within Indonesia. “Surprise Fares” departing from Jakarta include Denpasar for IDR530,000 (USD 59), Jogyakarta for IDR357,000 (USD40), Surabaya for IDR505,000 (USD55) and Banda Aceh for IDR687,000 (USD77). These are one-way economy fares inclusive of all airline taxes and surcharges. This promotion is available until June 15, 2011. MasterCard and SilkAir have teamed up to launch two special promotions for Business Class passengers traveling to eight destinations in Indonesia, Malaysia and Thailand. Tickets are available from now until 13 September 2010 and require a minimum of two passengers traveling together.